Led by artist Miguel Braceli and ecologist Steward Pickett, this WALK will examine the consequences of urban land use, both from an ecological and social justice perspective. Lake Roland: Living Boundaries explores the scientific, artistic and social principles of absorption at Lake Roland, a defunct reservoir surrounded by parkland at the edge of Baltimore City. Artist Miguel Braceli seeks to approach the different boundaries and access that exist between the city, its inhabitants and the environment. This work uses food grade paper, benign particulates and water to interrogate the concepts of absorption and particulate suspension, within the social context of racial and social segregation. From an ecological perspective this project seeks to approximate the forms of land use and its consequences on the environment, specifically, the relationships between people, land and water, and addresses increases in sea levels, floods, and discharge of waste into the water. From an urban and social perspective, he explores problems related to social segregation and exclusionary practices. Socially and environmentally, the work explores these boundaries in constant transformation, and that this project aims to continue moving. The work of Miguel Braceli is based on social practices in the public space; most of them are linked to the landscape and natural environments in dialogue with their political and social content contexts. His work surrounds people with nature, their nature, with playful and performative experiences. Most of Braceli’s projects have been large scale works, developed in countries such as Argentine, Bolivia, Chile, Costa Rica, Spain, Sweden and Venezuela; exhibited in galleries, biennials and important group shows in Latin America and Europe. This new project at Lake Roland follows a line of research, based on social issues associated with segregation imparted by urban planning and land uses. This project opens a new body of work directing environmental conditions and using new biodegradable materials to evoke responsible land use. Miguel Braceli is currently based in Baltimore on a Fulbright Scholarship pursuing a Master of Fine Arts at Maryland Institute College of Arts. 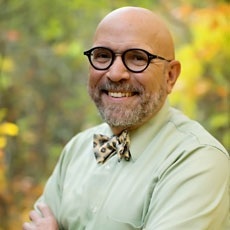 Steward T. A. Pickett is a Distinguished Senior Scientist and plant ecologist at the Cary Institute of Ecosystem Studies, in Millbrook, New York. His PhD is from the University of Illinois in 1977. He directs the Baltimore Ecosystem Study Long-Term Ecological Research program. His research focuses on the ecological structure of urban areas and the temporal dynamics of vegetation, including primary forests, the post-agricultural oldfields in the eastern United States, and riparian woodlands in South Africa. He has produced books on ecological heterogeneity, humans as components of ecosystems, conservation, bridging ecology and urban design, the philosophy of ecology, and linking ecology and ethics. He is a member of the Board of City as Living Laboratory.